It can feel like a big commitment to start a new series, but if you’re in the market for one to add to your summer reading list, Hutchison’s Collector Trilogy is a must. The trilogy centers around a team of FBI agents who work to solve crimes against children, and, over the course of the trilogy, readers are drawn into both their personal and professional lives. In THE BUTTERFLY GARDEN, arguably the most gruesome of the three books, readers witness the agents uncover the truth about a horrific man known as “The Gardener” through a series of survivor interviews; in THE ROSES OF MAY, the agents help a family whose past has been marked by tragedy, and whose future may be marked by it, too; in THE SUMMER CHILDREN, the agents - and one agent in particular - cross paths with a killer who wreaks havoc in the name of doing good. Each book within the trilogy retains a very distinct identity, both in content and in tone—but the books are woven together by the endearing characters found within them. I loved the way Hutchison has handled the interconnectedness of her books; yes, each book can be read as a standalone, but why would you want to? There is so much to love about the characters found within these pages, and readers will be sorely missing out if they don’t start this trilogy from the beginning. CBTB readers might remember that I had mixed feelings about the second book in this trilogy, THE ROSES OF MAY, and I certainly stand by those feelings - though I will also say that, having read the trilogy in its entirety, I am now much better able to appreciate the distinctions between THE ROSES OF MAY and its predecessor. The key here is to go into this trilogy knowing that none of the books will be the same as the others, but they all have a strong human element that makes each of them worth your time. THE ROSES OF MAY is without a doubt the lightest read out of the three, and it can be very hard to accept this difference - especially if you’re reading it immediately following the dark and brutal THE BUTTERFLY GARDEN. Instead of external violence, THE ROSES OF MAY turns its focus inward, examining the internal lives of survivors. In what can only be described as brilliant planning, THE SUMMER CHILDREN strikes a balance between the two, combining shocks and suspense with a poignant and heartfelt personal story as well. To that end, I would encourage readers to read the trilogy in its entirety; I really do feel that I have a much greater appreciation for book two after having read book three. If, however, you’re still unsure about THE ROSES OF MAY (which I don’t blame you for - it’s a very different kind of book! 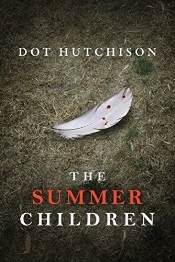 ), you can certainly go straight from THE BUTTERFLY GARDEN to THE SUMMER CHILDREN; Hutchison provides ample background information on the characters who carry over from THE ROSES OF MAY into THE SUMMER CHILDREN for you to jump ahead. I’ve found that sometimes, it’s actually hardest to write reviews for books I really loved… which seems ironic, but consistently proves to be true. It’s like I just get so swept up in the read, by the time it’s over I’ve lost all constructive feedback aside from being able to say that wow, I really loved that book. That’s exactly the boat I’ve found myself in here. Regardless of the masterful way in which THE SUMMER CHILDREN ties together the Collector Trilogy - and it does so in spades, to be sure - this really is an excellent crime novel unto itself as well. Hutchison has found a fantastic balance of darkness and light within the pages of this book, and perhaps the greatest reason why this book works so well can be attributed to its protagonist, Mercedes Ramirez. THE SUMMER CHILDREN presents readers with a case tied deeply to the backstory of one of its characters. Agent Mercedes Ramirez takes center stage here, and what a fantastic decision this was on the part of the author. Through Ramirez’s story, Hutchison brings to the forefront the key theme that connects these three books: the experiences of survivors, particularly female survivors of physical and sexual abuse. This is not an easy topic to digest, and readers should go into this book aware that it deals in quite stark detail with abuse of children in particular—Hutchison has proven herself to never be afraid of tackling stomach-turning topics head-on. However, she does so with incredible compassion; readers will find themselves so staunchly in support of Ramirez, they will quite literally be in tears by the book’s end. Through this story’s horrific case (in which a masked killer is murdering abusive parents and depositing their children unharmed, but soaked in their parents’ blood, on Ramirez’s doorstep), Hutchison brings Ramirez face to face with the tragic and horrific realities of her own past. It quickly becomes apparent to Ramirez that this case is incredibly personal to her, and, in hunting for the killer, she must actually revisit both her own personal experiences and investigations she has led over the duration of her career. 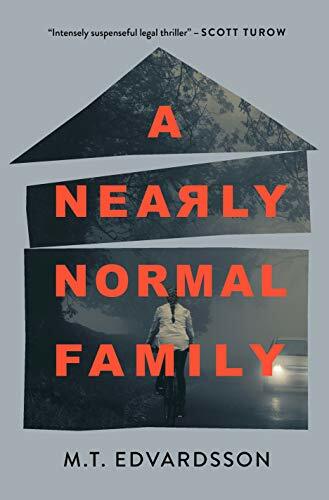 Ramirez is tough, resilient, damaged, blunt, a bit rough around the edges - she feels so very real, and readers will find themselves rooting for her from the book’s first page to its last. It’s practically impossible to imagine a crime novel that could get more personal than this, and Hutchison has done a masterful job crafting a lead character we can all cheer for. The richly-developed character of Agent Ramirez is just one example of the care that Hutchison took in crafting each character in this book. Readers will see familiar faces from the series’ previous two books; they will discover new sides to the agents they though they knew so well; they will find themselves deeply invested in the Crimes Against Children team. And let’s not forget that Hutchison also delivers a compelling, page-turning mystery here—even from the plot summary alone, I was dying to know more about who this masked vigilante was, and I’m confident I won’t be the only one to feel this way. 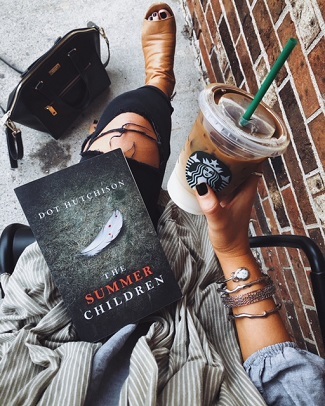 THE SUMMER CHILDREN is top-notch crime fiction, plain and simple, and readers looking for a nontraditional yet wholly engrossing and purely addictive summer thriller should add this book - and the Collector Trilogy as a whole - to their reading list right away.